Seriously, you gotta love NetFlix. Thanks to a friend’s recommendation, I checked out the show PSYCH — which I’d never seen before — and I absolutely love it. 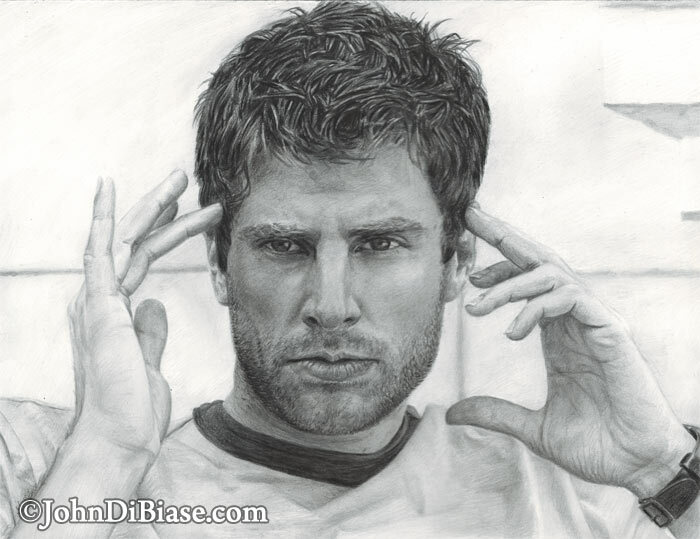 So I set out to draw James Roday as Shawn Spencer. It’s all graphite on white bristol paper.